Next quarter avocados and peel the skin off. 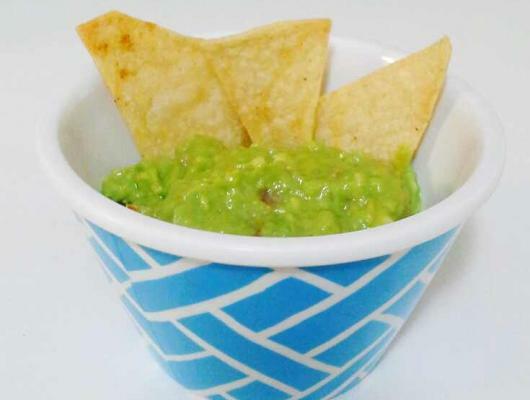 Place peeled avocado wedges into a medium-sized bowl and pour lemon juice over them and sprinkle with salt to taste. Next add onion and tomato. Using a potato masher, begin to mash the mixture until desired consistency. I like mine a little on the chunky side. Add cumin and cayenne pepper and stir to combine. Taste once more and add salt if necessary. 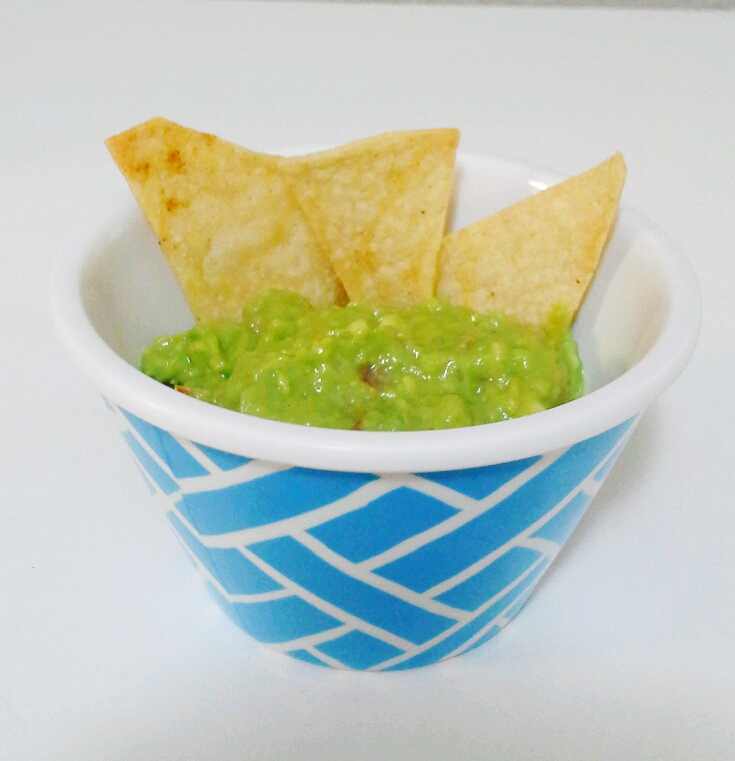 Guacamole can be covered and chilled for up to a day. Due to the insane amount of lemon juice browning is usually not a problem if served within a day. While oven is preheating either generously brush or spray tortillas with oil on both sides and lightly dust each side of the tortillas with cumin and salt. Cut each tortilla into eight triangular pieces and place on a cooling rack. For easy clean-up place cooling rack on top of a baking sheet to catch any excess oil from landing on the bottom of the oven. Bake chips for 10-13 minutes or until brown. Remove from oven and let stand about 5 minutes to finish crisping up. Making the perfect guacamole is not difficult. I’ve been making it since I was a kid. Although techniques and ingredients have changed and evolved throughout time one thing has stayed consistent-LOTS of lemon juice. The lemon juice cuts through the richness of the avocados juuuust right. Plus the addition of the citrus keeps it from turning brown quickly. Although I prefer a somewhat chunky texture there is no exact science to it. Just mash, mash, mash away to your heart’s content. Lemon overload guacamole tastes great paired with homemade, cumin-dusted chips or as the key ingredient in old-school tacos de guacamole.